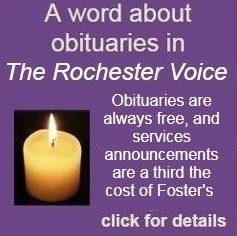 ROCHESTER - Alfred L. Philbrick, 61 of 3 Pink St. Rochester, died on Monday, Jan. 28 2019 at home surrounded by his family. On August 5 1957 he was born in Rochester, which is where he had resided with his wife Judy Philbrick for the last 23 years. Al was one of three sons to June and Wesley Philbrick. He was known to his friends and family as Big Al. Al is survived by wife Judy of 44 years, brother Wesley, son Alfred and his wife Kris, and daughter Bertha; along with grandchildren Kathleen, Christina, Mason, Tianna, and David. Also great grandchildren Carter, Evelynn, Killian and Aden.